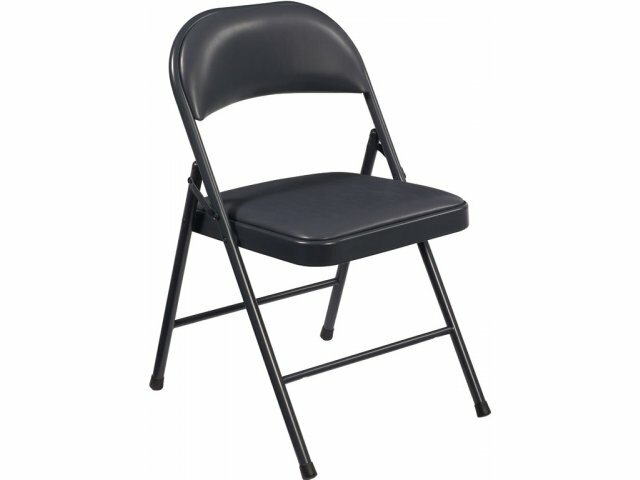 Quality yet affordable seating is simple with the NPS Commercialine vinyl–upholstered folding chair. 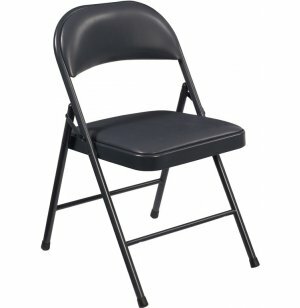 This folding chair is suited for most commercial environments, such as conference rooms, training rooms, bingo halls, Elks lodges, etc. Vinyl cushioned seat and back is comfortable and easy to clean. Strong: This folding chair is designed to support as much as 250 lbs. Comfortable: Padded seat and back provides extra comfort. Low-Maintenance: Smooth steel frame and vinyl upholstery wipe clean with ease for years of attractive use.